In my opinion, this book deserves more than 5 stars. I could not put this book down at all. 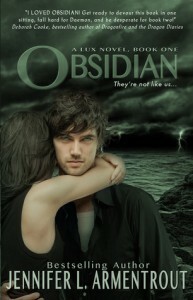 Well, how can you when there's this hot alien guy named Daemon who's breathtakingly handsome. And I liked katy because she is exactly like me, she gets overly excited with new books like I do. Honestly, this book is so well written that I cant wait to finish off the rest of the series.